Although epigenetic modifications contribute to trait variability, their effect pales in comparison to standing genetic variation. The raw material of evolution is genetic variation, but proponents of the “extended evolutionary synthesis” add a new layer to this model: heritable variation in epigenetics. The packaging and tagging of DNA can alter traits without changing the DNA sequence, and in some cases, these changes can be inherited across generations. Can this epigenetic variation play a role in adaptation? Though this question is still under debate, a report published in G3: Genes|Genomes|Genetics suggests that the influence of epigenetic variation on trait variability may be comparatively feeble. Aller et al. 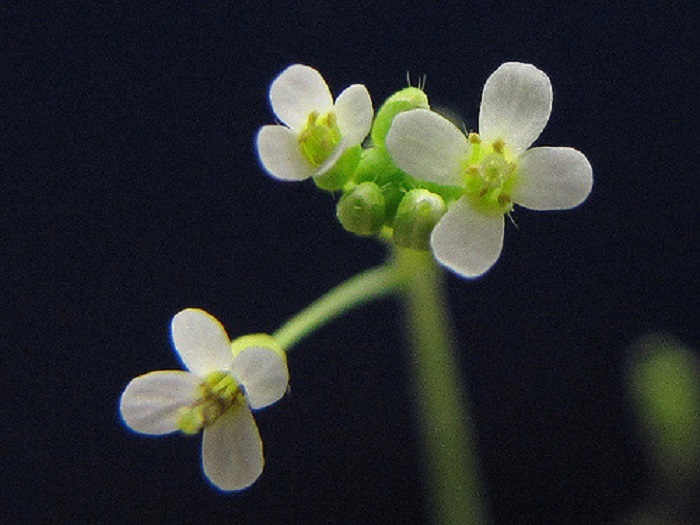 set out to directly compare the influence of genetic and epigenetic variation on an adaptive trait in the flowering plant Arabidopsis thaliana. To do this, they used epigenetic Recombinant Inbred Lines (epiRILs), which are bred from closely related plants with and without a specific mutation in a gene important for maintenance of DNA methylation, such that almost all of the heritable variation in their progeny is attributable to differences in which parts of the genome are methylated— i.e. epigenetic variation. The lines are essentially genetically identical, but each has a different stably-inherited pattern of DNA methylation. For each epiRIL, the authors measured adaptive traits such as flowering time and accumulation of glucosinolates, which are compounds the plants produce for defence against herbivores and pathogens. The team then compared the variation in this epigenetic system to other studies that investigated the genetic variation underlying those same traits. Although the authors found significant variation within their epigenetically-driven model, it was much lower than variation in genetically-driven equivalents. This suggests that epigenetic changes are much weaker drivers of variability than the major engine of adaptation: alterations of the genetic code.